Joshua Martin is senior counsel at the law firm of Potter Anderson & Corroon. He concentrates his law practice on mediation and arbitration. He taught ADR at Widener Law School from 1986-1995 and judicial mediation at the National Judicial College from 1988-1990. He is a member of the AAA Commercial Panel of Neutrals, the CPR Panel of Distinguished Neutrals and was on the Special Master Panel of the U.S. District Court in Delaware. He is a Fellow of the College of Commercial Arbitrators. 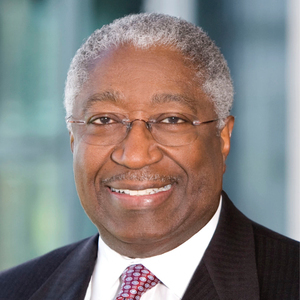 Mr. Martin was President and Chief Executive Officer of Verizon Delaware Inc. and its predecessor company, Bell Atlantic Delaware Inc., where he previously served as General Counsel. He has been included in The Best Lawyers in America publication for 2007-2018 and was selected in 2013 and 2017 as Lawyer of the Year for Arbitration in Wilmington, Delaware, by The Best Lawyers in America. Mr. Martin earned a bachelor’s degree in physics from Case Institute of Technology, is a graduate of the Rutgers University School of Law, and completed the Wharton School Executive Development Program.